Tombs in Ashkelon threaten government stability as ministers argue over construction of a hospital wing, Health Ministry Director-General quits. Ancient tombs in Ashkelon threatened government stability on Sunday as ministers argued over whether or not to relocate a hospital wing that was planned to be built above the graves. Following rocket attacks from Gaza, Barzilai Hospital in Ashkelon decided to build a new emergency wing, one that would be specially enforced in case of a rocket strike. However, when crews began work on the new wing, they discovered ancient tombs just 50 meters from the hospital, where the new wing was to be built. Deputy Health Minister Yaakov Leitzman of United Torah Judaism (UTJ) argued that the government must not allow the tombs to be desecrated. On Sunday, he pushed the cabinet to approve the allocation of 135 million shekels in order to build the planned emergency wing in a new location. Leitzman threatened to quit if the budget were not approved. "Whether those are Jewish tombs or not, I'm against moving them,” he told the ministers. He said the relocation would be less expensive than has been reported. The cabinet ultimately approved Leitzman's plan, with 11 ministers voting in favor and 10 opposing. However, the government decided to postpone the final decision by one month, in order to consider alternative solutions. 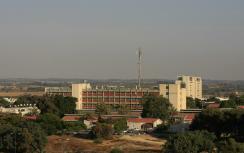 Officials in Barzilai expressed concern following the vote. “The government decision was unclear. Are they ordering us to stop construction? It should be noted that the security situation has grown worse over the past week,” a hospital official said, referring to a recent increase in the frequency of rocket attacks from Gaza. Health Ministry Director-General Dr. Eitan Chai-Am, a staunch opponent of Leitzman's proposal, submitted his resignation in protest of the government's decision. Chai-Am is against the plan due to the increase in cost, an increase that will be covered using part of the Health Ministry's annual budget, and due to the delay in construction.